West Palm Beach Burn Injury Lawyers: Burn injuries are classified into different degrees; the third and the fourth degree of burn injuries are more severe than the other degree of injuries. And the burn can cause a life altering injuries, wound that will cause infections because burn takes a long time to get healed; other things the burn can result into are disability and death of the victim. And when such are caused as a result of negligence, the experienced West Palm Beach burn injury lawyers will do everything possible to make sure you get the compensation you deserve. And it can be an uphill task to determine who is responsible for a burn injury most of the times. But our experienced West Palm Beach Burn Injury Lawyers will make sure an investigation is done to know the cause of the fire accident. In a car accident, for example, the burn may not necessarily be due to the party that caused the crash. The manufacture of the automobile or the part of the car may be the real cause of such fire. And various burn injuries may be as a result of chemical or fire. And fire can be as a result of various factors, such as wrong wiring of the house, company, from a broken power line or leak flammable fluids. Burn degrees have different financial implications. They are classified based on the cause and how severe the injuries are. The few common injuries we have are electrical burns, chemical, and thermal burns. The one cause by an external source of fire is called thermal, and they raise the temperature of the skin and burn the tissues under the skin. And the chemical burns are from the mixture of solvents, Alkali, and metal that can cause burning of the skin or every part of the body they are in contact with. When electrical current passed through the body of the victim, such burn is called electrical burns. Apart from the cause of burn injuries, they are also classified based on the levels. First degrees: of burn only affect the outer part of the skin. The skin is red, the skin may undergo some pain, but we don’t have a blister on the skin, it’s the least burn injuries. The first degree is just like the sun burns. Second degree: The second degree affects the epidermis of the skin, or so they go into the second layer of the skin. The second-degree burn is very painful and will have a blister. Third degree: The third degree of burning the skin and can even affect the muscle and the bone. The burn is very disastrous the skin appears white. The pain is much but, in extreme condition, pain is not felt because the nerves that can feel the pain is destroyed already. The severity of the burn is also determined by the surface area affected. So the surface determines how severe a burn can be classified. Minor injuries can be treated at home. Moderate can be dealt with at a regular hospital, but the major injuries taken to a specialist hospital. Burn can cause damage to the skin of the victims. According to medical professionals, they classified burn injuries as one of the most painful injuries you can have. And they are susceptible to a lot of infection because the various skins that can protect the wound have been burnt already. And about 10,000 people are reported to die annually due to burn-related injuries. For such burn to be operated, various tissues in the skin will have to be removed. And if the injury gets to the point that it cannot be healed, skin grafting will have to be done. Grafting involves taking skin from the area that is not burnt to replace the area that is burnt already. And you will have to undergo some therapy to minimize the scars you have on the skin. In children, skin grafts may have to be replaced as the child grows, since the grafts will not expand. What is the outcome of the Treatment? This has been a lot of improvement to the treatment of burn injuries in recent times because the victim can now have their injuries healed in little time. Today victims with almost 90 percent of burn can still survive. But the victims still have some emotional and financial challenges. They will have to spend months in the hospital. And the survival of such burn can go through years of scarring and disfigure. The medical bill and the loss of the job can also have a lot effect on the victim. If you are involved in a fire accident, it’s crucial you contact the lawyers that have a broad knowledge in taking up legal case off victims that are affected by burn injuries. 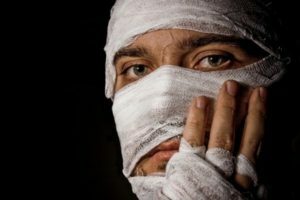 Our West Palm Beach Burn Injury Lawyers understand how difficult it’s to get compensation when involved in burn injuries. We are a well respected with years of experience to help you pursue your case. We have a track record in helping the victim get their compensation in the past, and we are sure that your case will be a success. Contact us today for free consultation on your case.